Only the Heart, from Illahis: Sufi Songs and Poems of the Threshold Society. This sohbet is a study of some hadith to gain an appreciation of who Mohammed was, the message he embodied and the historic and potential effect of the message on humanity. Recording of weekly sohbet with Shaikh Kabir and Camille Helminski. On the importance of clearing every trace of resentment from our hearts in order to attain communion with the Divine in meditation. The Qur'an and Hadith on Prayer, from Salaat, published by Threshold Society. Mevlâna Jalâluddîn Rumi on Prayer, from Salaat, published by Threshold Society. Salaat Times, from Salaat, published by Threshold Society. How to Perform Salaat, from Salaat, published by Threshold Society. 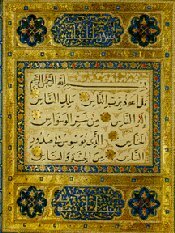 Duas (Supplications) to Accompany Salaat, from Salaat, published by Threshold Society.